Poor planning always shows – especially in a process as extensive as a refurbishment. Whether it’s reflected in the overall quality of the finish or the unaccounted additional time it takes for the project to be completed, the lack of a good plan usually leads to an underwhelming feeling of disappointment. Having successfully worked with many clients around the world on refurbishing their hotels, we’ve produced a four-part guide on how to successfully plan for a refurbishment. Choose your hotel refurbishment contractor wisely. Too many clients opt to employ the services of a local general building contractor who may have no pedigree whatsoever in refurbishing a hotel. In the hotel sector, experience really counts. Give yourself six months of well considered project planning time before you intend work to start on site. This will allow you time to interview potential architects, hotel interior designers, refurbishment contractor, and suppliers. It will also allow sufficient time for professional services such as architectural drawings, structural engineering surveys, planning permission, listed building consent, and building control. If you own a listed hotel building, these services are essential and take time. Do timetable your refurbishment between the months of January and April. Typically, hotel bedroom occupancies are at their lowest during the first quarter of the year. Have a clear and realistic idea of your refurbishment budget and the likely payback period. In today’s risk-averse banking climate, it is difficult and a lengthy process to secure additional funding. Once a budget has been established, resist the temptation to let the heart rule the head and stay within your budgeted figure. Allow for a contingency sum within your total budget sum of circa 5% to allow for unforeseen costs. A reputable contractor should suggest a sensible contingency figure from the outset. This is particularly important if the building is old with many original features. Do not allow your refurbishment contractor to spend any of the contingency allowance without your written approval. Insist that your chosen refurbishment contractor gives you a detailed cost plan listing the scope of work and unit prices so there is no ambiguity as to what’s in and what’s out of the contract.Vague project contracts often end in tears for the client. Never assume anything. Equally, it is imperative that you ask the contractor for a detailed programme of work so you can assess their progress against this timetable during the refurbishment period. Agree in advance exactly what the snagging procedure will be and precisely when it will occur. This should be undertaken immediately upon completion of each phase before guests are allowed to enter the rooms. Work on fortnightly or monthly applications for payment depending upon the total length of the contract and the scale of sums involved. Once you have agreed a payment plan, ensure your contractor is paid promptly. You’ll obtain more goodwill and value for money from a contractor that values you as a prompt payer. Negotiate a minimum 3% retention sum for a period of six months which allows you as the client a reasonable defects period. During this time, your contractor is obliged to address any faults that arise. This is particularly important when considering mechanical and electrical work. Ask for an O+M’s manual upon completion of the project. This covers the operations and maintenance guides for all furniture, fittings, and equipment installed. It’s an invaluable source of information for your own maintenance team who may need to order spares in the future. Involve your management team in the decision-making process. Designing bedrooms without some input from your Head Housekeeper, or fitting out a new hotel restaurant or kitchen without seeking first the opinion of your General Manager and Head Chef, is a common mistake. Resist however a “decision by committee” approaches to choosing fabrics and furnishings. Everyone’s tastes will differ and the process ends up being drawn out and often de-motivational for those that get overruled by colleagues. Enjoy the interior design and refurbishment process. If you are lucky, it may be 10 years before you need to secure finance to undergo another major refurbishment. 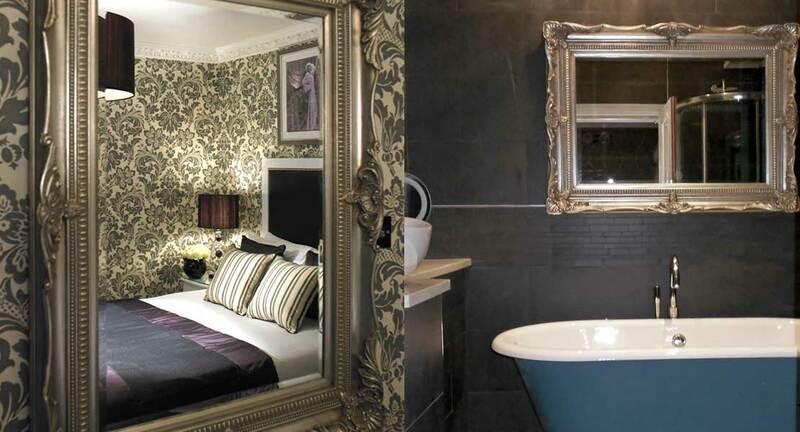 Read Part 2 – A Client’s Guide to a Successful Hotel Refurbishment: Hotel Bedroom Design.